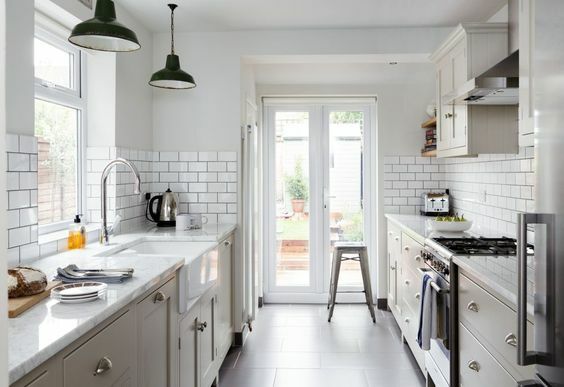 We all might yearn for a spacious stylish kitchen with all the bells and whistles, but that shouldn’t stop you making the most of what you currently have. 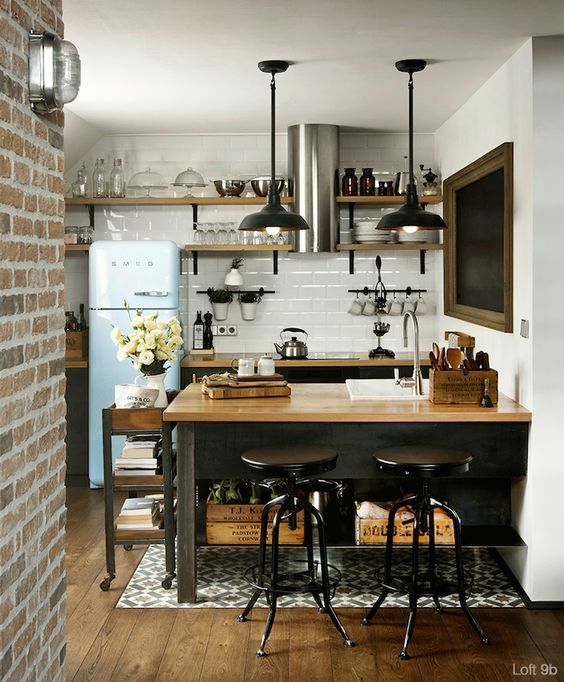 Learn to love your small kitchen, with these clever design ideas which effortlessly combine style with practicality. Feel like Belle in Beauty and the Beast with your very own rolling ladder. 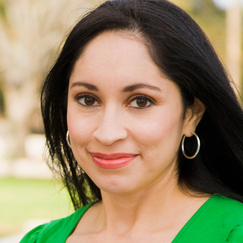 The only difference is, instead of pulling out books, you’ll be grabbing kitchenware. 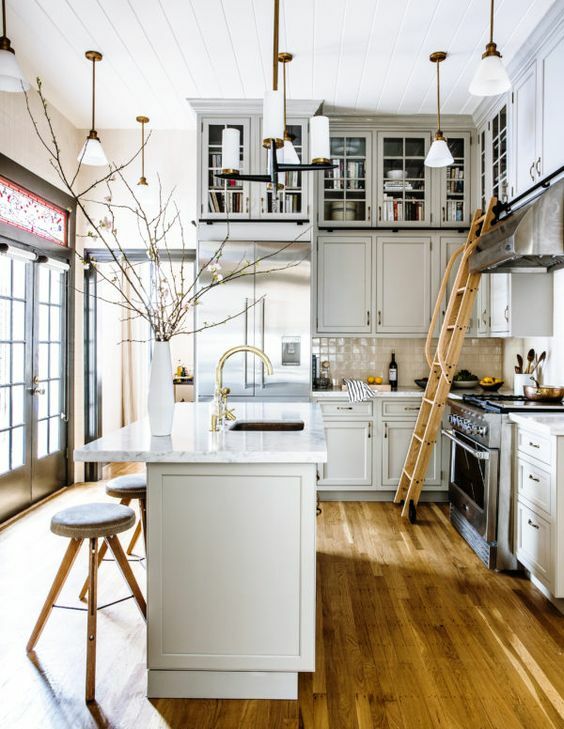 If you’ve got height in your kitchen, don’t let this space go to waste. 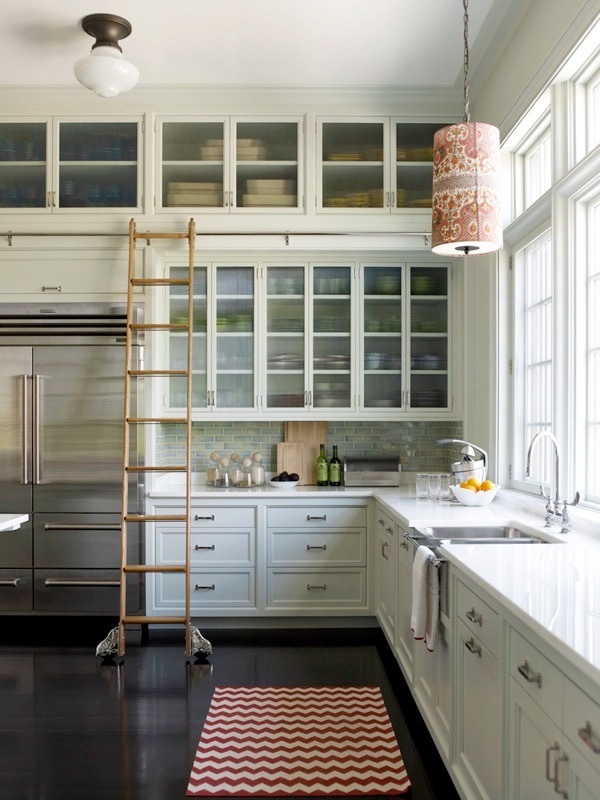 Fit cabinets all the way up to the ceiling, and install a ladder. 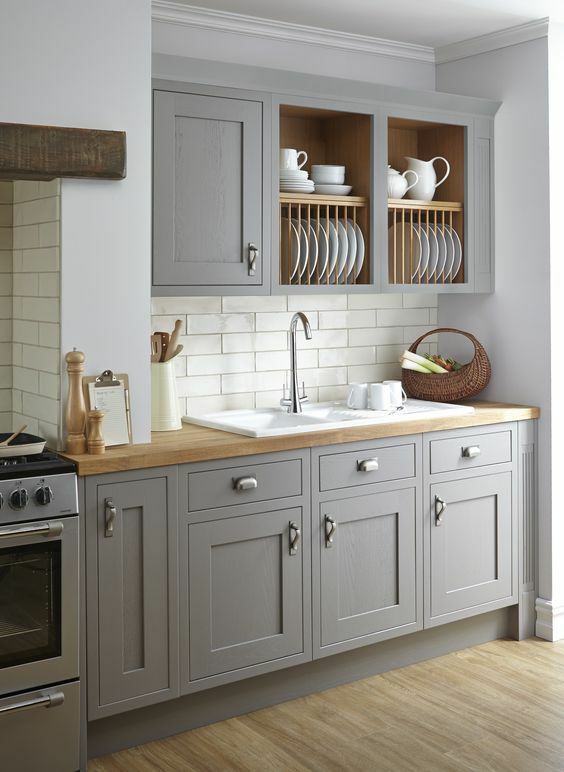 There are many fantastic styles which combine elegance with functionality, so you’re bound to find one that perfectly suits your kitchen. 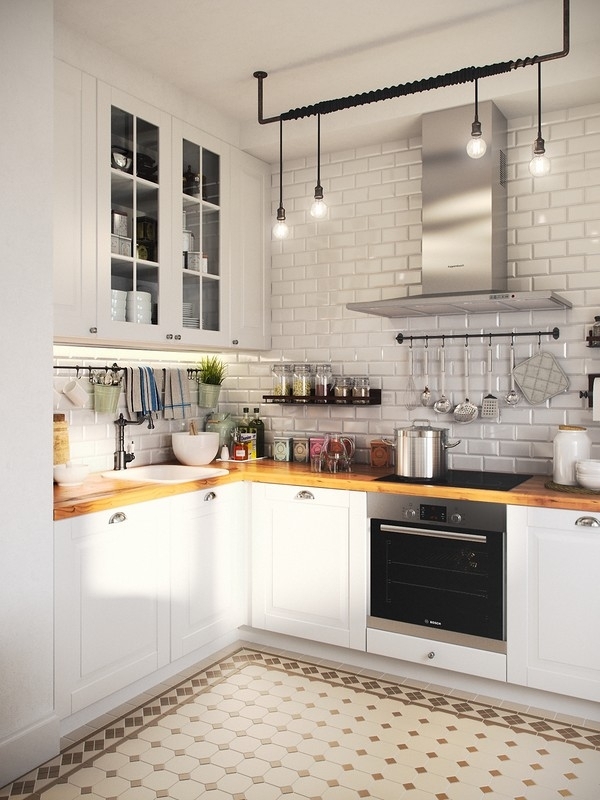 Maximize the spacious feel of your kitchen with pristine white subway tiles. This simple, inviting look will instantly brighten up your room, creating the wonderful illusion of additional sunlight. 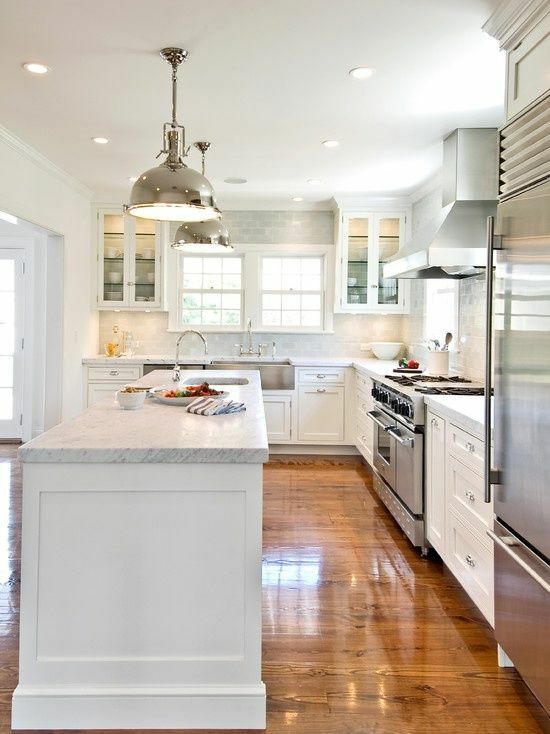 If you’re worried about white being too boring and sterile, go for light, neutral colors instead. 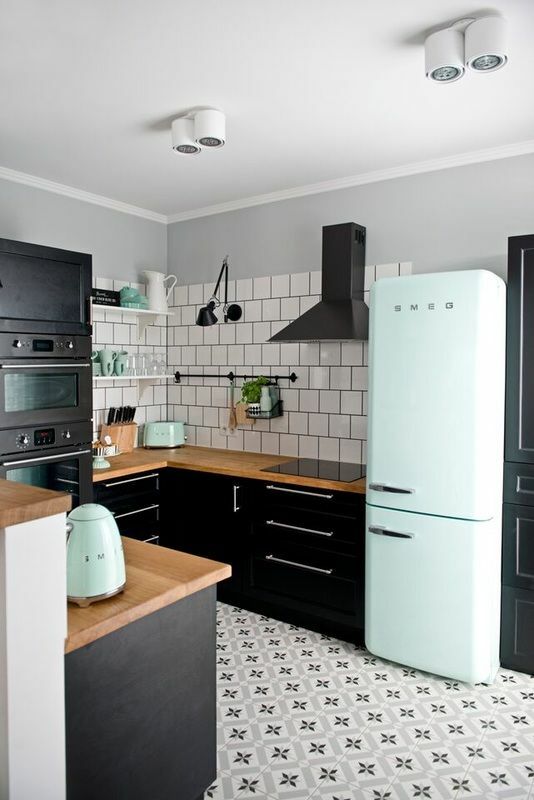 No matter how tempted you may be to choose a dark or bold color for your kitchen, just be aware that these can make a room look smaller. Which obviously defeats the objective here. 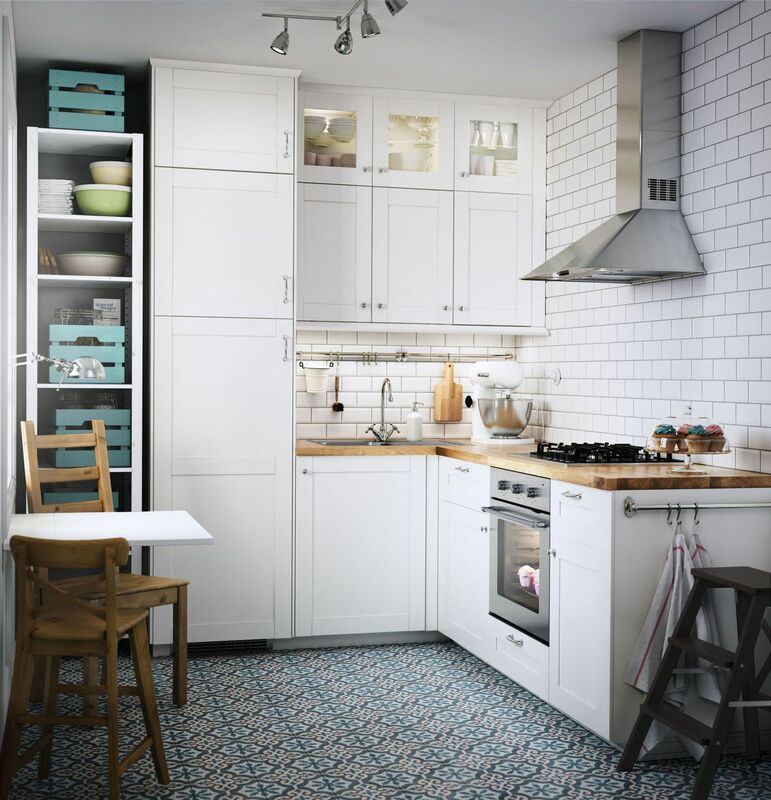 Once you’ve selected your tiles, accessorize this design with cabinets in a matching color to boost the room’s cheery sunny vibe and create a cohesive space. 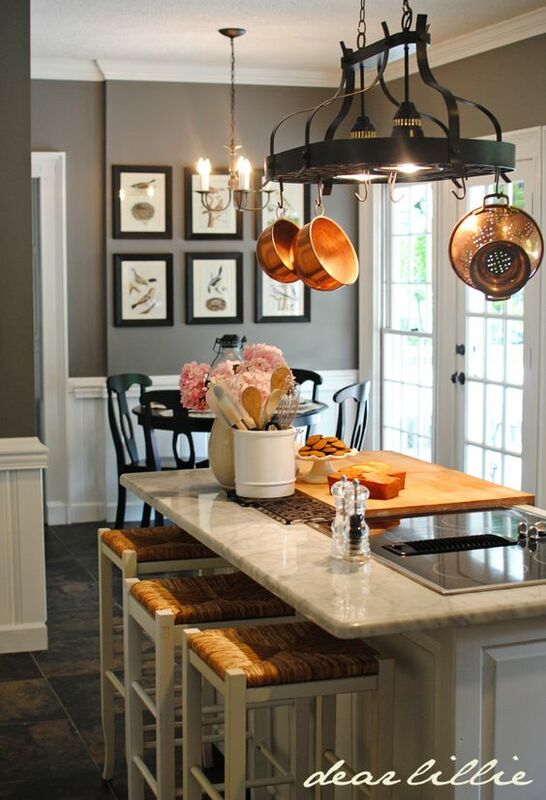 Bulky pots and pans can be a nuisance as they take up a lot of valuable kitchen space. 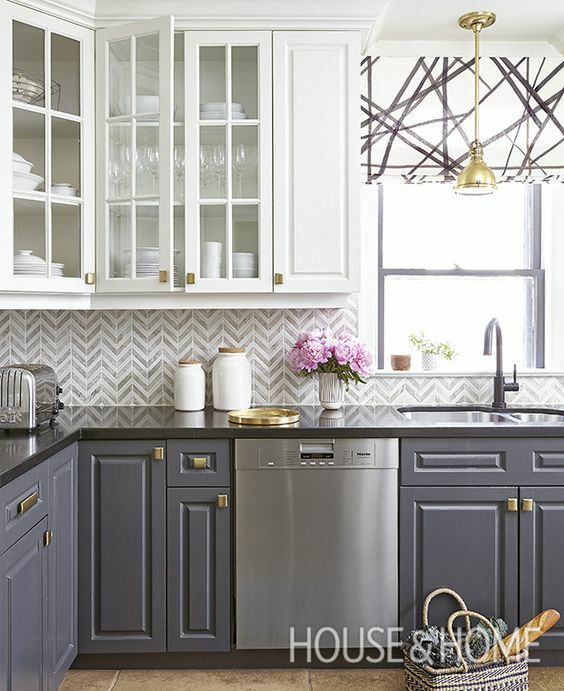 Piling them up in cabinets is one solution to keep them off your countertops, but what about the rest of your kitchen appliances and dinnerware? Where are they going to go? 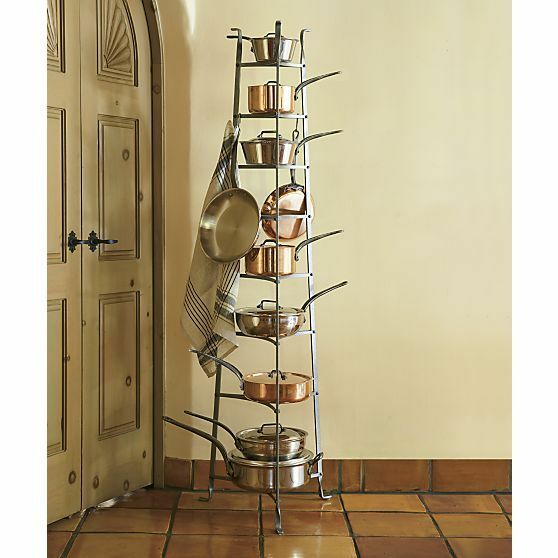 To free up extra cabinet space, keep your pots and pans within arm’s reach with a handy pot rack. 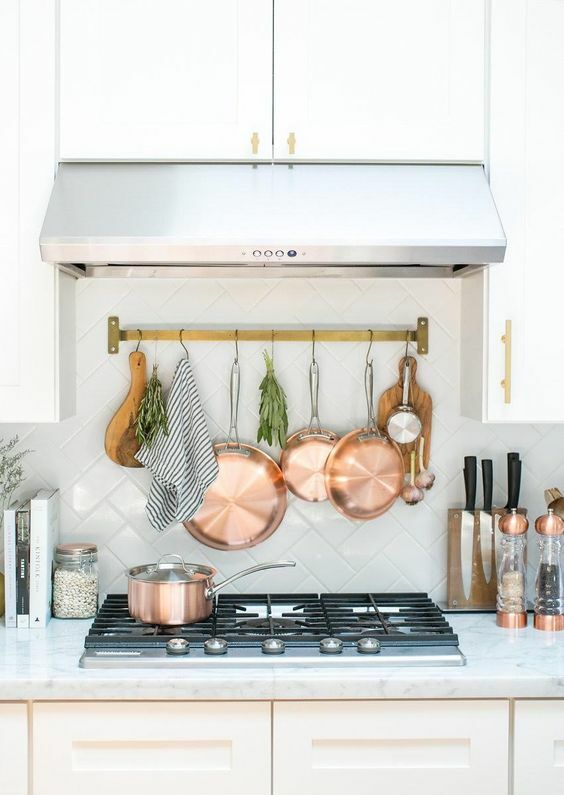 This sturdy rack is the epitome of stylish kitchen organization, as it not only keeps your pots together, but creates a fun focal point in the room. 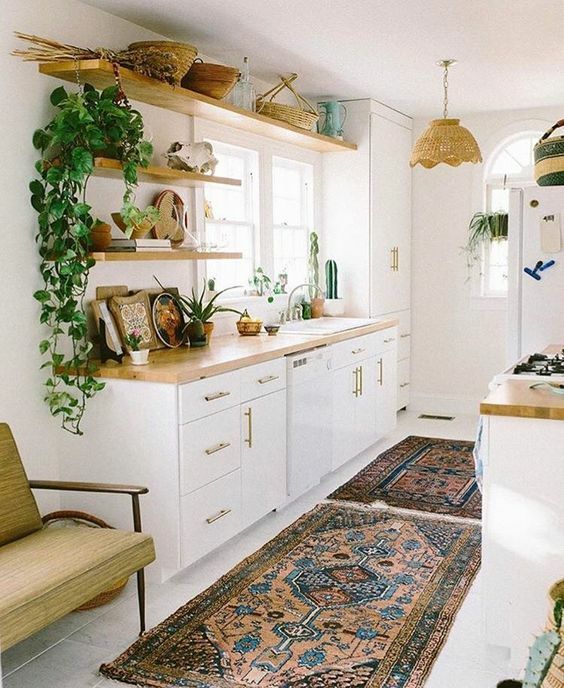 Although we said you should refrain from using dark or bold colors on your walls, that doesn’t mean you can’t use it on cabinets instead. Black is timeless and classic, so you don’t have to worry about it going out of style. 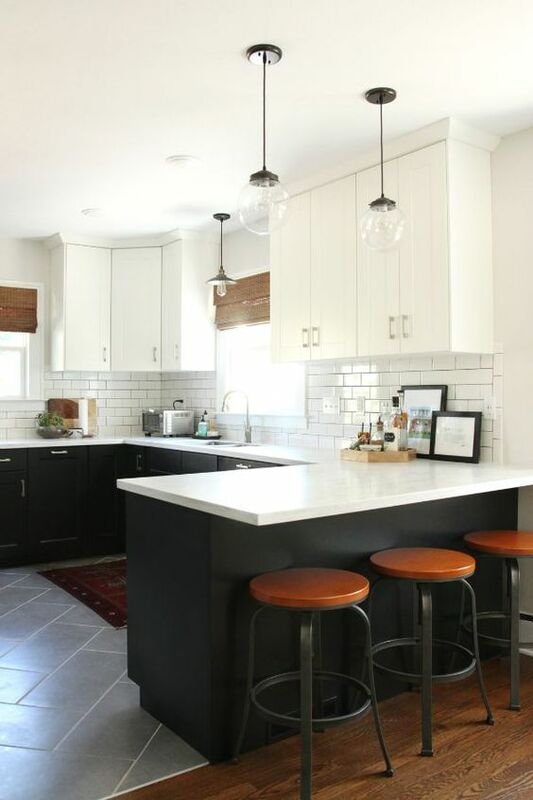 Painting your cabinets in this deliciously dark shade creates a chic, smart look which proves that you don’t have to confine this color to only large spaces. 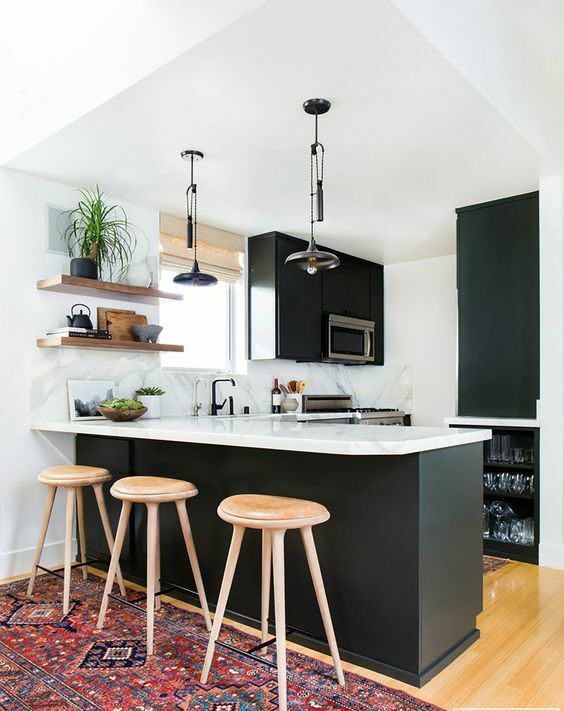 To soften the starkness of the black, incorporate lighter colors into the decor such as white countertops or a cream tiled backsplash. Although mirrors are useful for checking your appearance, they can also reflect light into dark corners and make the room appear larger than it is. 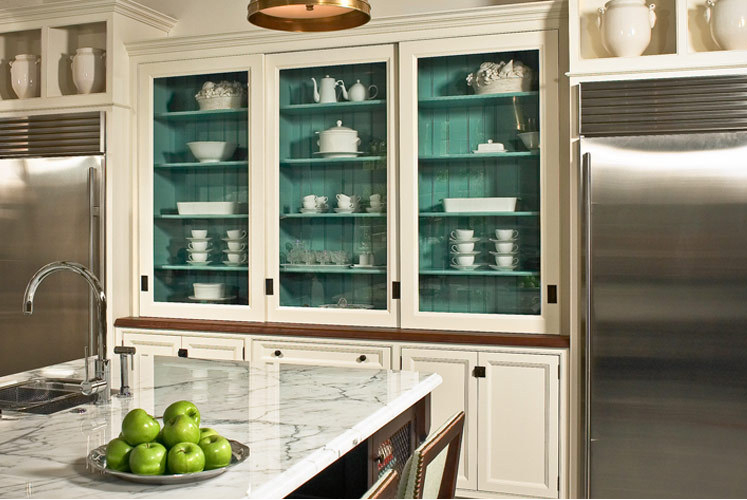 Mirrored glass on cabinet doors are an eye-catching focal point and offer a simple way to create the illusion of space. 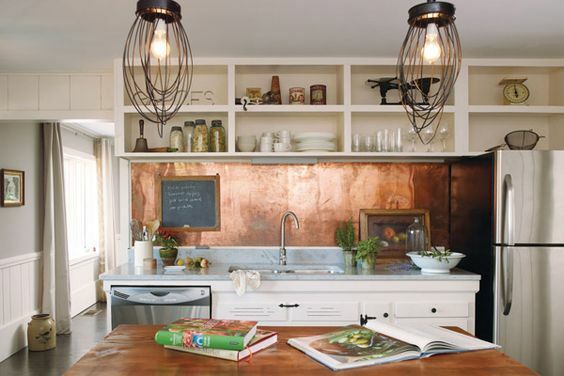 This is especially useful if your kitchen looks and feels cramped. 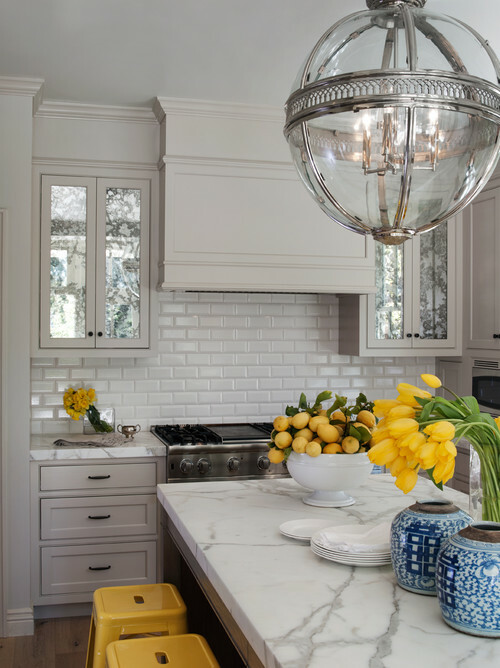 Place mirrors across each row of cabinets to get the full effect, so you can creatively trick your eye into thinking your kitchen is bigger. 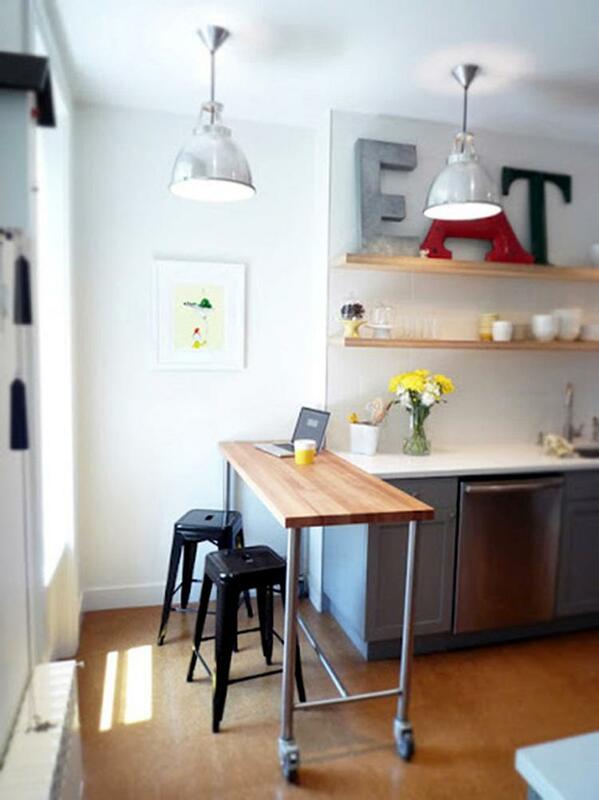 When space is tight, backless stools which slip under the counter are a great choice of furniture. Not only do they offer comfort and functionality, but they can accentuate the modern stylish look of your kitchen. The casual and comfortable feel of these stools creates a friendly and welcoming atmosphere, which is perfect for easing you into the day. 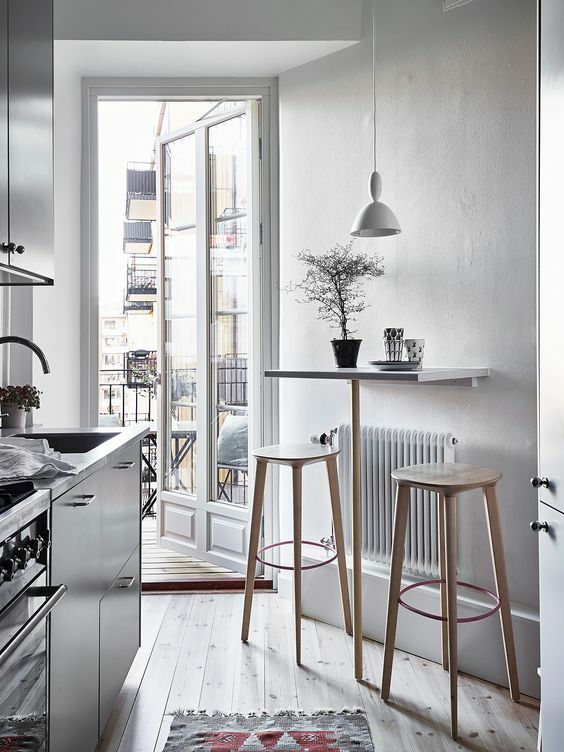 You can find bar stools in a variety of designs, colors and styles, so you should easily find a set which really boost your kitchen’s appearance in the style stakes. When you’ve just woken up, the last thing you probably want to do is waste time rummaging around the cupboards, trying to find your beloved cereal bowl. 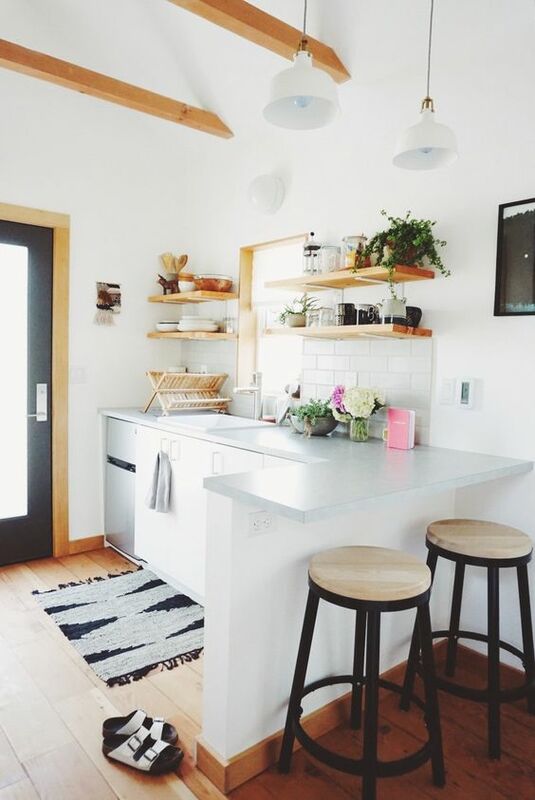 When you have a small kitchen, it’s understandable that you’ve probably got each of your walls stacked up with cupboards and cabinets. But did you ever consider, that these might be adding to the claustrophobic feeling you experience, every time you prepare a meal? 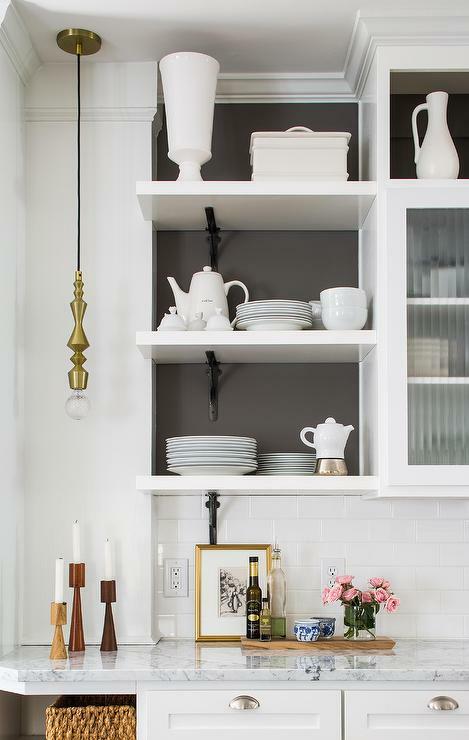 To rid this feeling of being closed in, create a more airy atmosphere with open kitchen shelves. 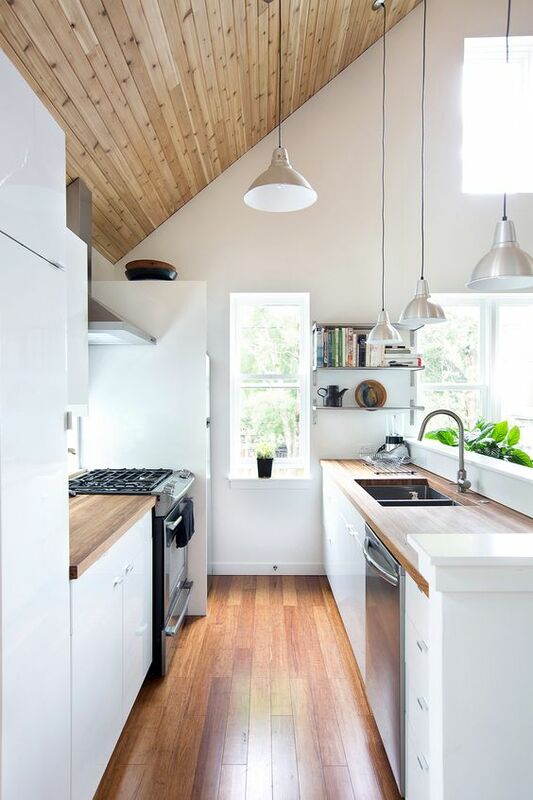 By removing the doors you’ll no longer be blocking a healthy amount of natural light into the kitchen, and should instantly notice a difference in the brightness of your room. 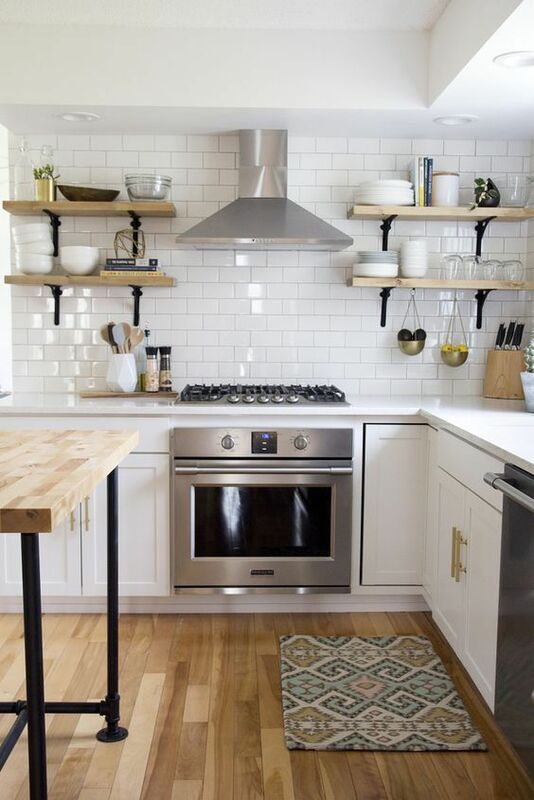 Bring all of your frequently used kitchen appliances and dinnerware into plain sight, so you can easily grab what you need and never have to fumble around for them again. 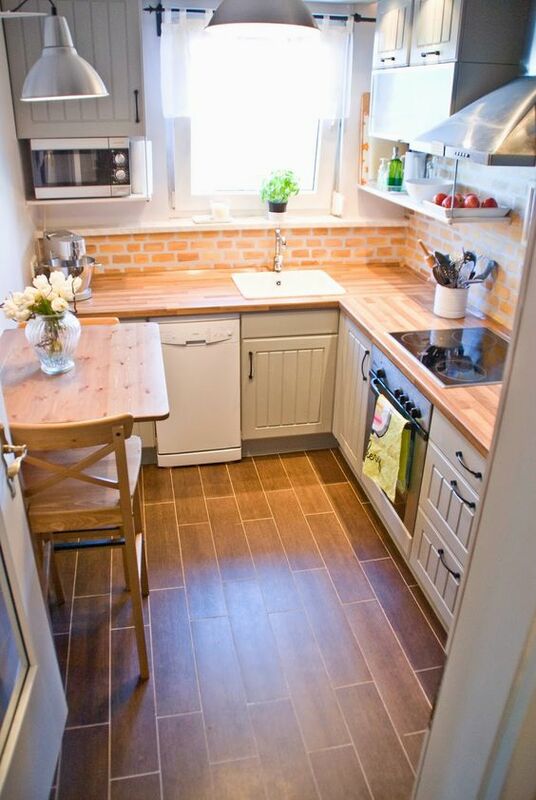 In a small kitchen you’re often faced with the dilemma of where you’re going to put a table. 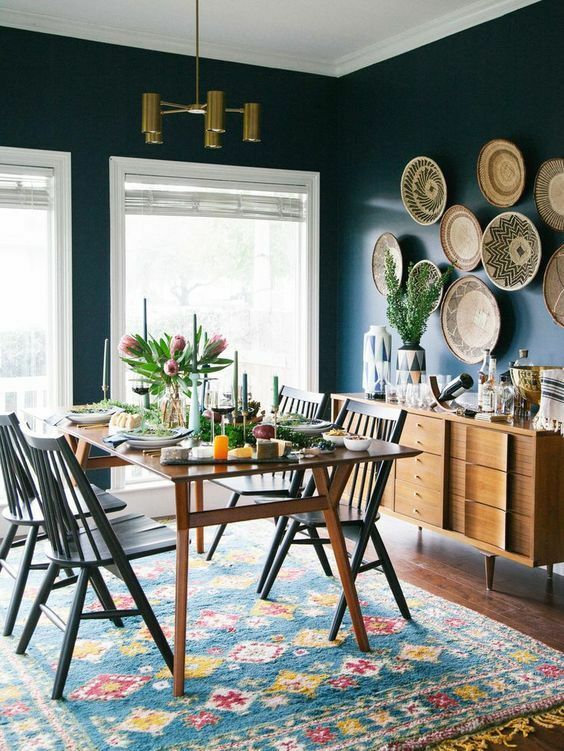 A dining table can often be too big, but if you don’t put anything there, you’ll be left with a wasted empty space. 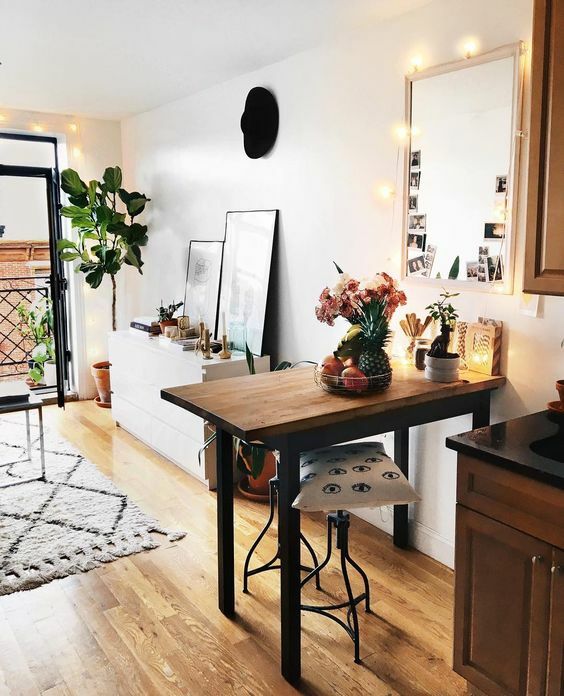 To stop you eating breakfast standing up, create a cozy table for two, by positioning a tall table against an empty wall and placing a couple of seats around it. 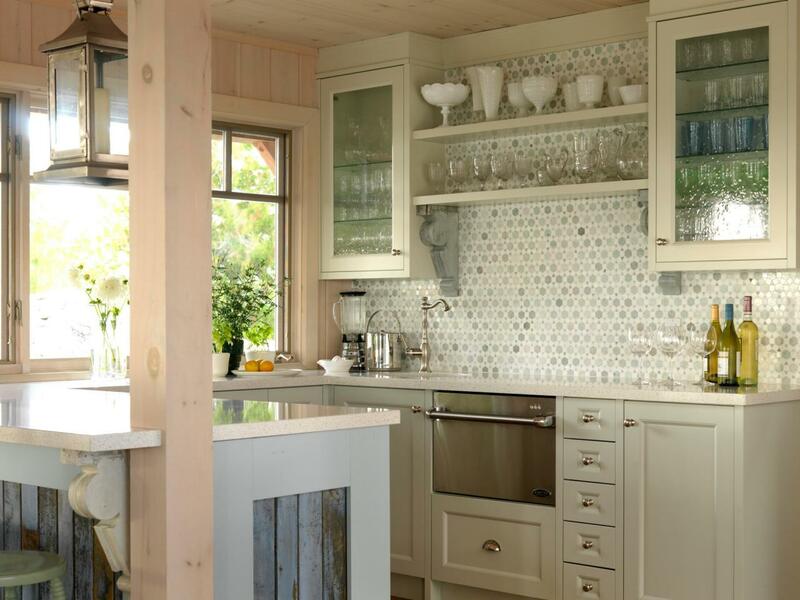 From wood to glass, there’s many different materials as well as elegant styles you can choose from, so you’re guaranteed to find the right one to fit the look of your kitchen. 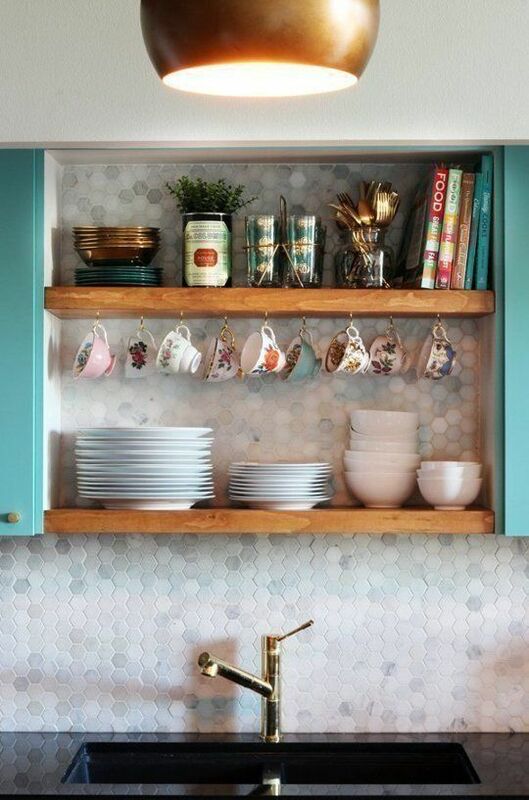 Invoke some excitement into your kitchen with a gorgeous backsplash with colorful sheen. 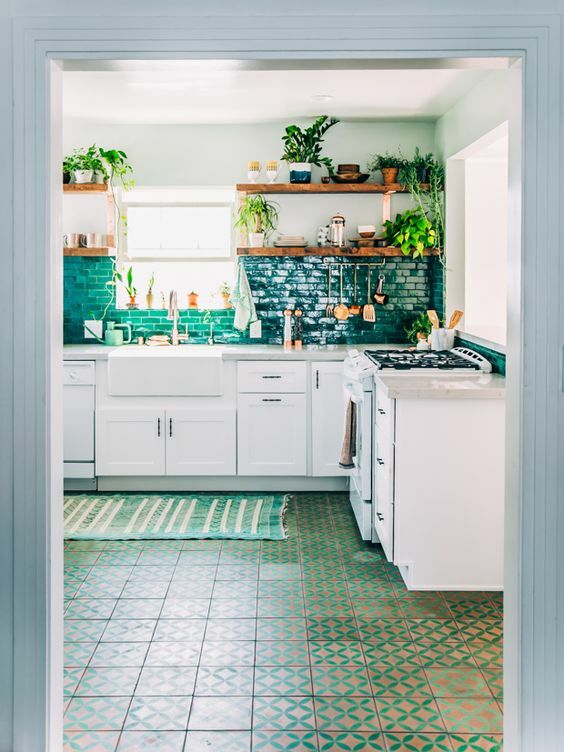 This tiles will add a burst of freshness into your small kitchen, and is guaranteed to put a smile on your face every time you lay your eyes upon it. 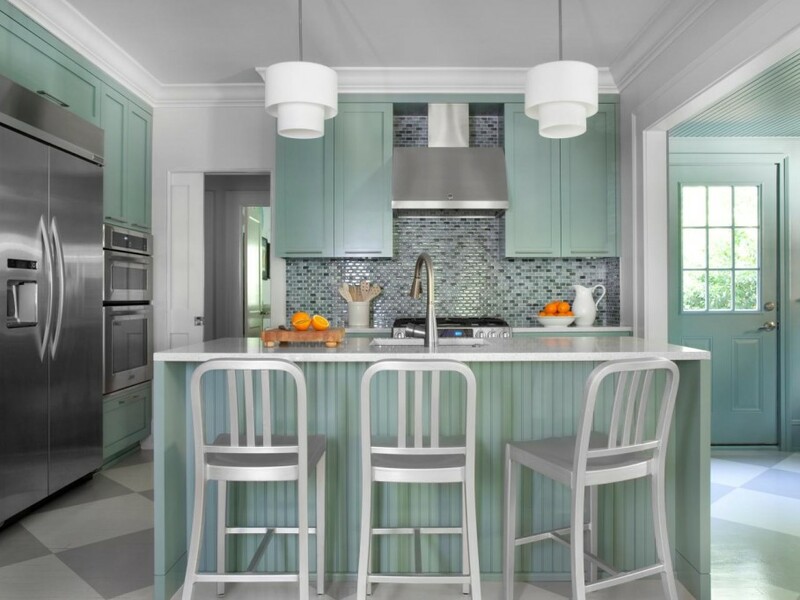 Soft shades of color are a great way of uplifting the interior of a kitchen, without being too distracting or harsh looking. 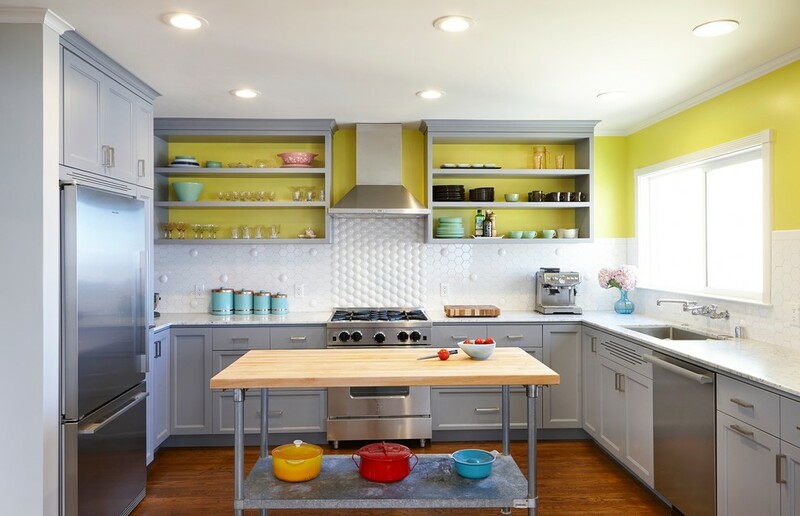 Use either the same or varying shades of color throughout the kitchen to create a cohesive feel. 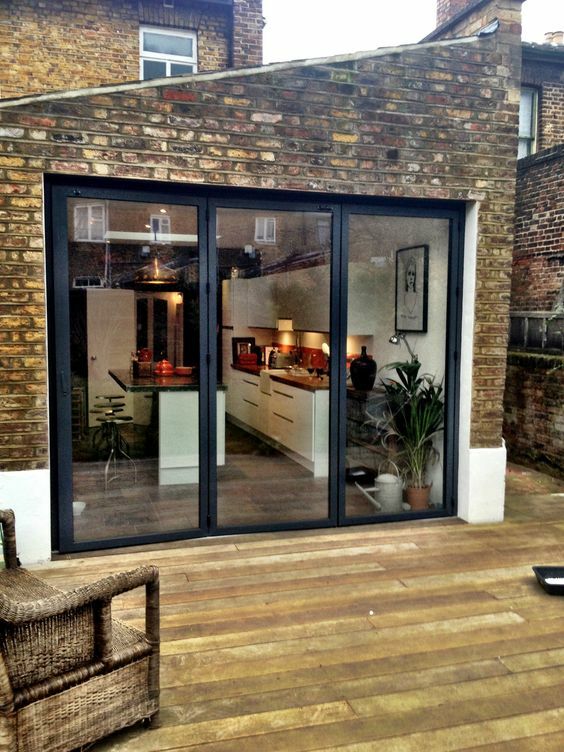 Many kitchens open out into the backyard, so why not consider installing some classic glass doors? 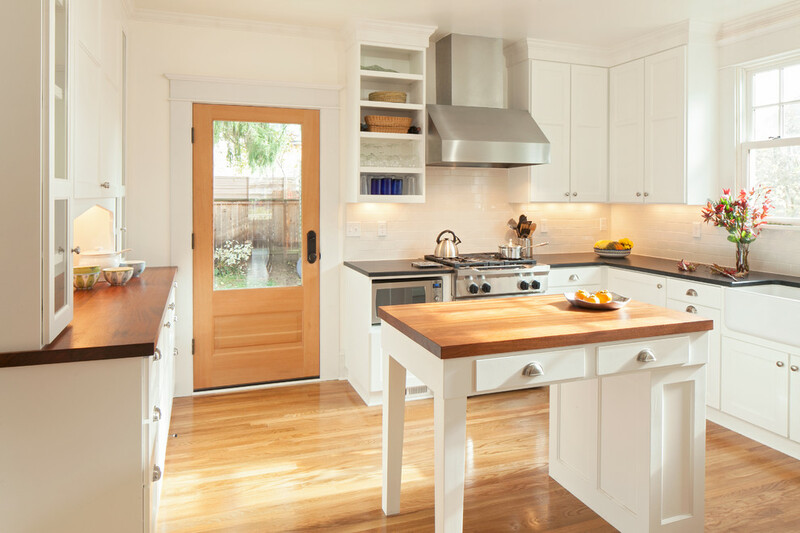 This simple but effective design has many advantages compared to the traditional solid timber door. 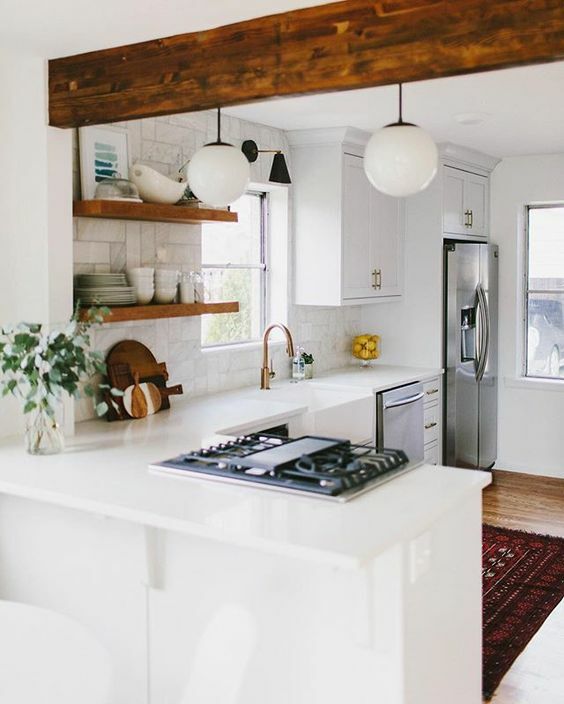 First of all you will no longer feel like you’re trapped in a box, as more natural light will be coming into the room, creating a bright and airy atmosphere. Secondly glass doors work in a similar way to mirrors and create the optical illusion of more space. By being able to look outside, this helps to elongate the room and makes the room feel a lot bigger than it actually is. Of course, you probably read a lot in articles like this one about the need to avoid visual clutter, but it’s true. 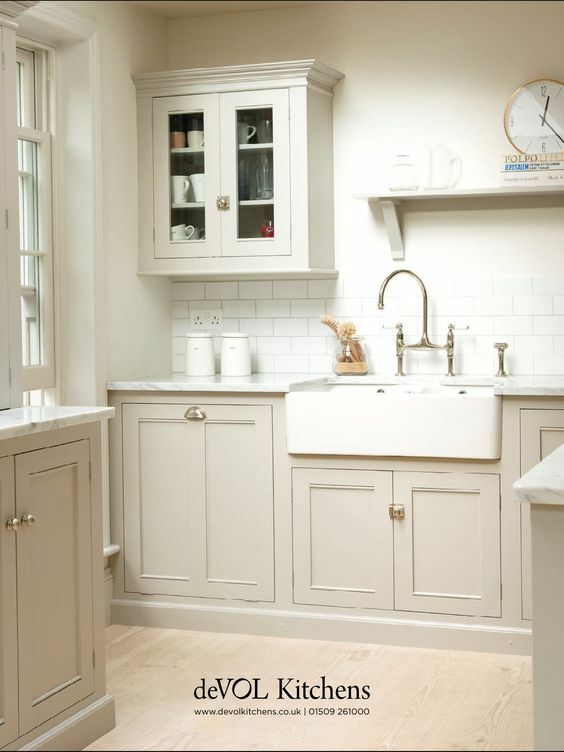 In any case, tidying up isn’t just about ‘de-cluttering’ – it’s also about preserving those clean lines that may have been what most attracted you to your chosen kitchen furniture in the first place. 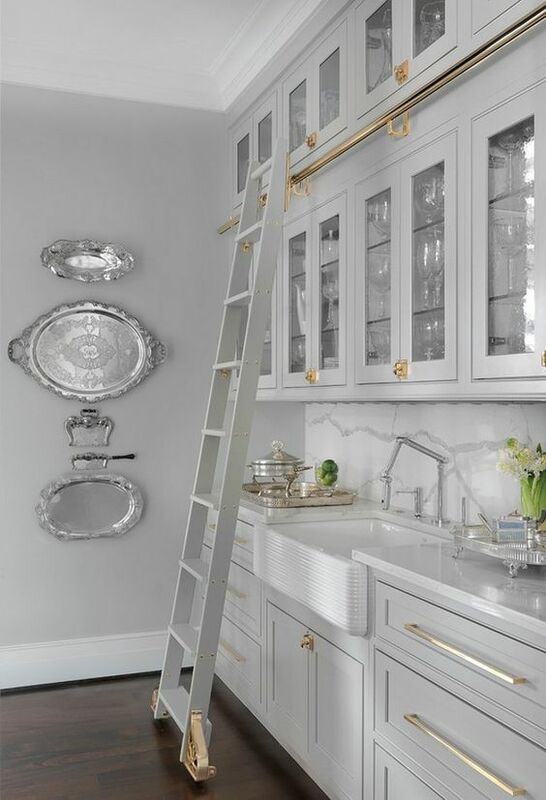 Get rid of any ornate cabinet pulls or any other overly decorative details while you’re at it. Who doesn’t love a glossy magazine, or anything else remotely shiny for that matter? 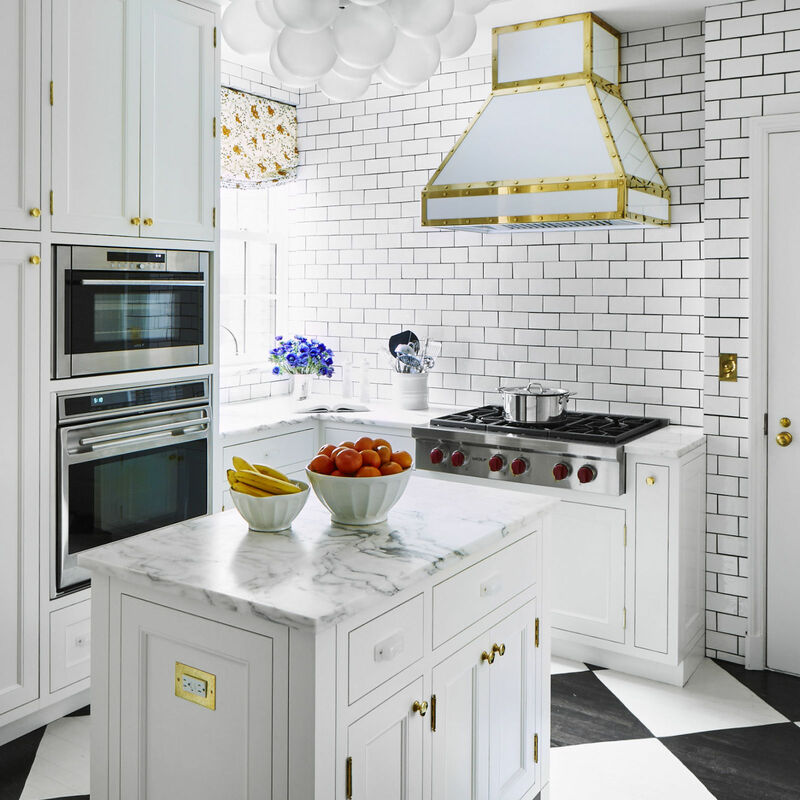 There’s a fine art to assembling kitchen décor that has a satisfying sheen without being overly dazzling, but with plenty of sleek cabinets, glossy flooring, glass tiles and stainless steel appliances on the market, we’re sure you’ll have lots of fun experimenting. Add some strategically placed reflective mirrors to really maximize the impact. 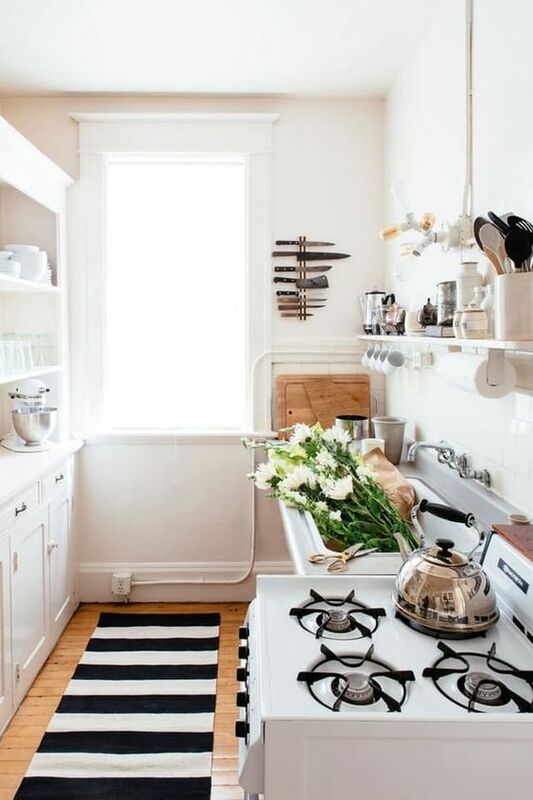 This is a fantastic touch if you want to open up more floor space in your tiny kitchen without sacrificing as much storage space as you might initially presume to be necessary. 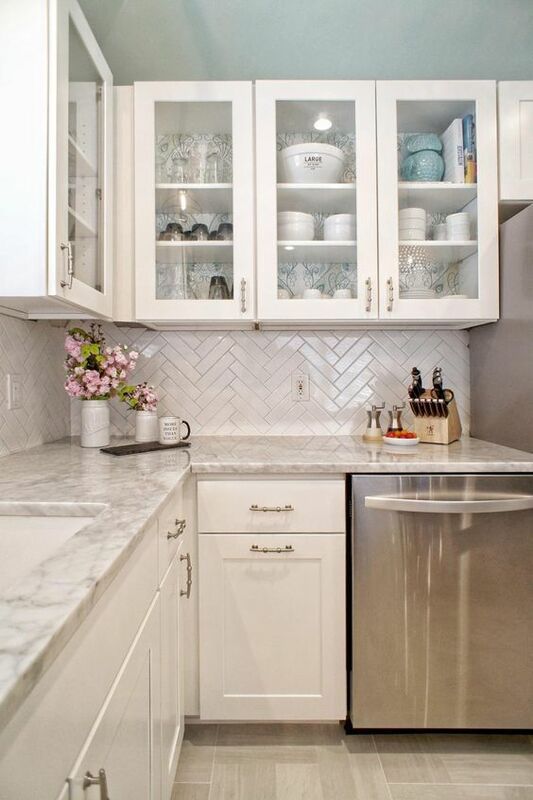 You see, while it’s typical for many lower-placed kitchen cabinets to be 24 inches deep, that doesn’t have to be the case. 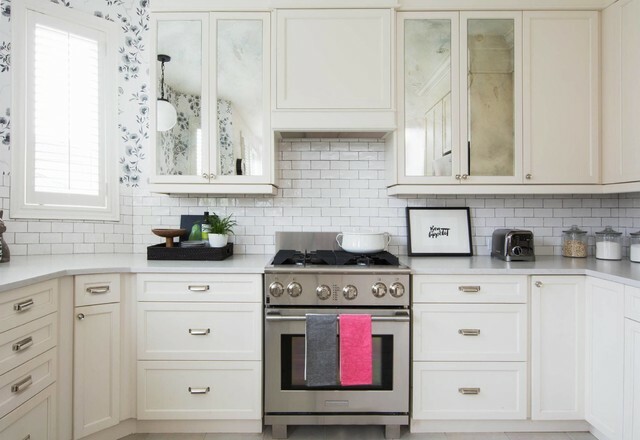 Plus, with the backs of deeper cabinets often hard for many of us to reach anyway, you might not feel like you’re making any real sacrifice at all. Some of us love to collect all kinds of crazy stuff – perhaps you’ve got an amazing group of Russian dolls, decorative plates, plants or model cars. 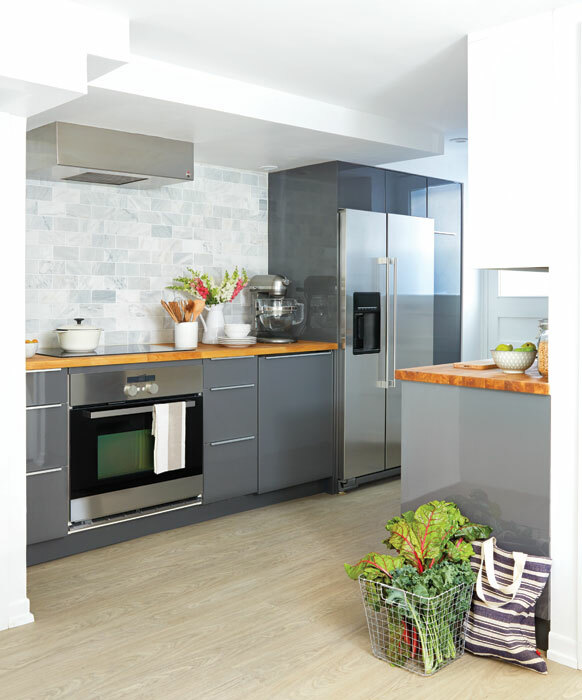 Put together a kitchen with a lot of open and structural storage space, and you’ll have the perfect place to show a lot of it off. The story of the things you have owned and collected is, after all, in many ways the story of you. 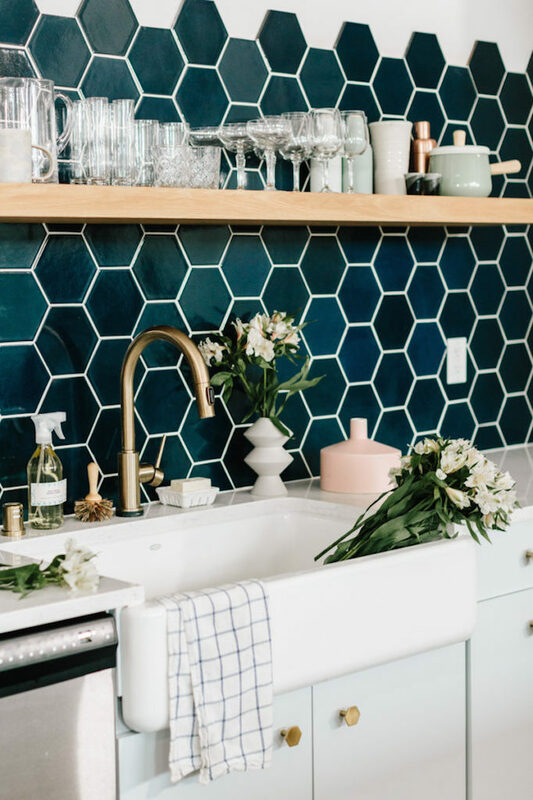 Geometric and striped wall and floor designs aren’t mere gimmicks – they’re good for drawing the eyes lengthwise or vertically, so a well-chosen pattern could be just the thing when you want to make your kitchen look longer or taller than it is. 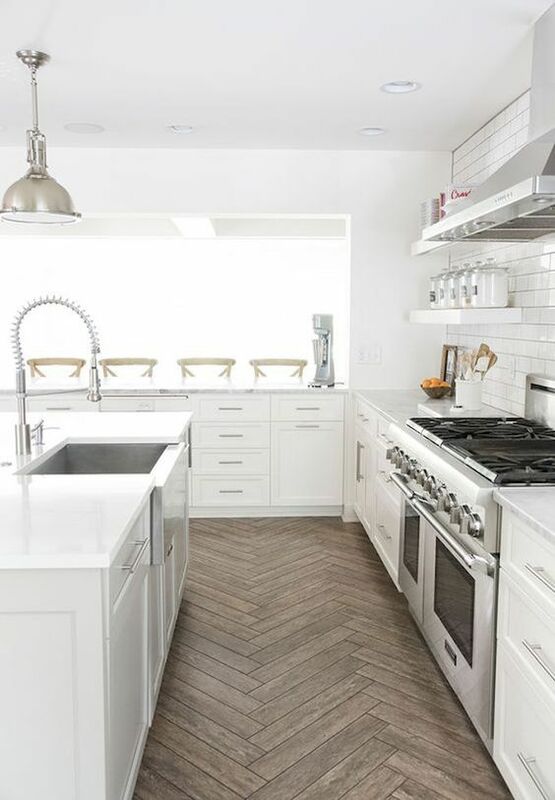 A checked tile design, for example, definitely looks more dynamic when the pattern is laid squarely rather than on the diagonal. 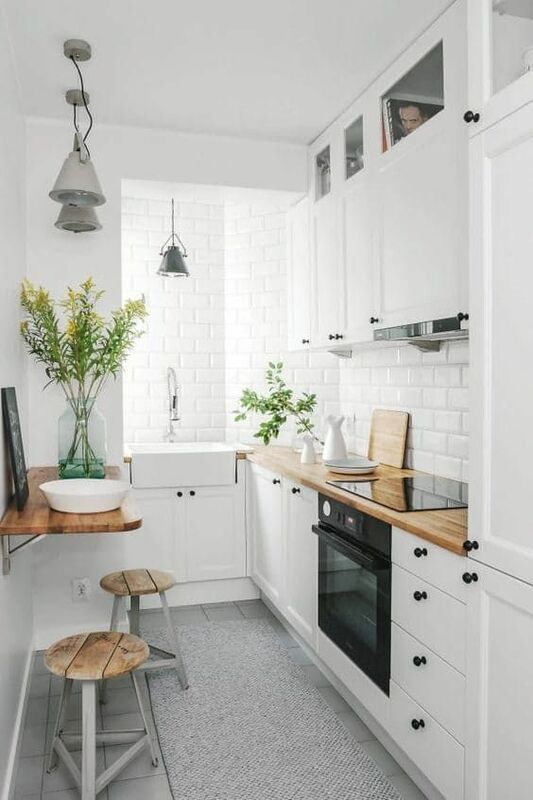 It has often been said that a simple paint job can make a drastic difference to a room’s aesthetic, and that’s no less true in a small kitchen. 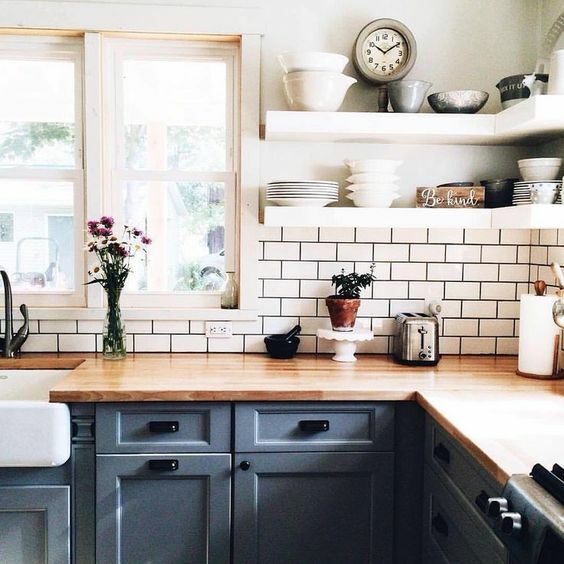 If you’ve got a white kitchen complete with white cupboards, though, what about painting the interior an inviting mild color? If you’re placing items in there for display, it’ll really help to draw attention to them.